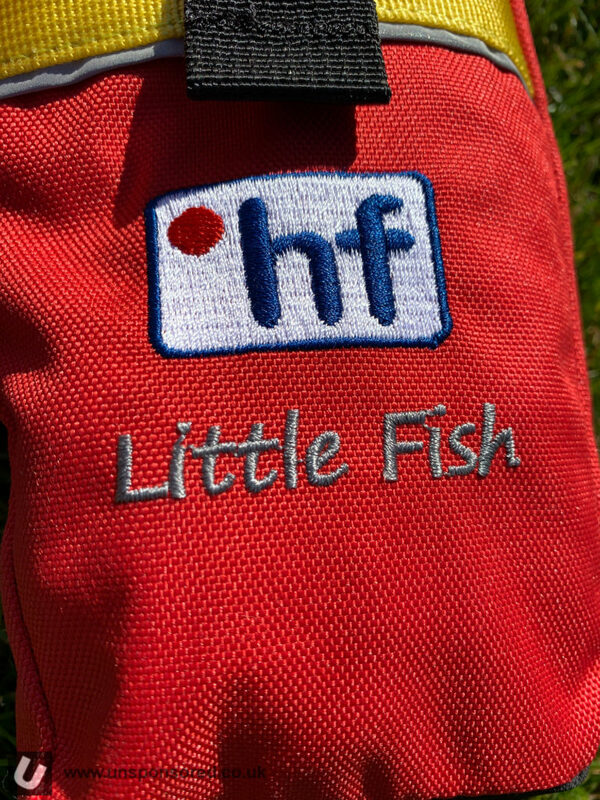 We bought this HF Little Fish Throwbag a week or so ago and reckon it is about time we posted a first look. 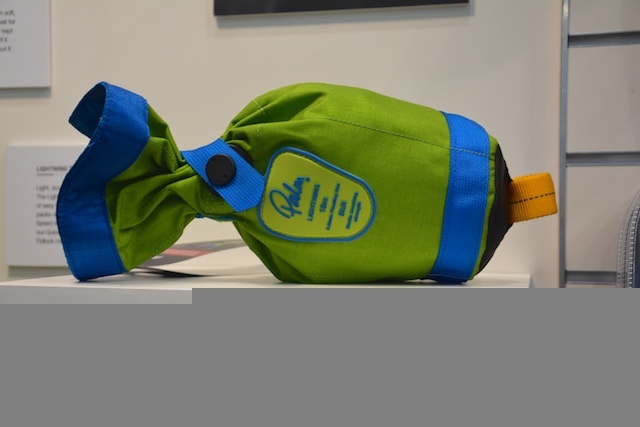 The HF Little Fish throwbag is small. You would expect it to be given that it contains only 9m of 7.5mm floating rope. This puts it in the position of being longer than a bought rescue tape but shorter than most throw bags currently on the market. We have the new Palm Equipment Bolt throwline in for review at Unsponsored HQ. The Bolt is the big brother to the Lightning throwline released last year and replaces the Palm Alpine throwline. 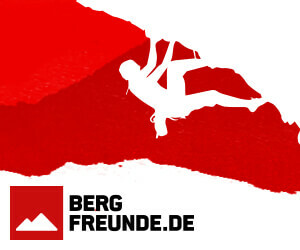 It’s competition time at Unsponsored HQ. Our head gear freak has selected a brand new Palm Equipment Lightning throw bag as the prize for June 2016. You can subscribe to the newsletter right now using the form below and you’ll be entered into this competition and all subsequent competitions as long you remain subscribed. 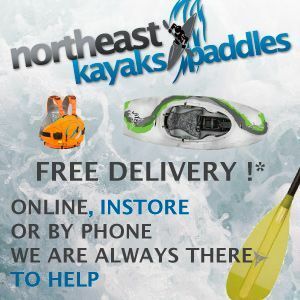 We won’t be using your contact details for anything else or sharing them with anyone outside of Unsponsored HQ. When we first shared the video showing the new Palm Equipment Lightning throwbag in one of the first comments back was that Palm have made the HF Weasel. Now as a long term HF Weasel user I can see there are clearly comparisons to made. 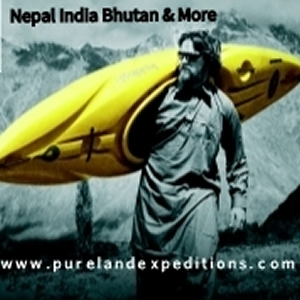 If you are running whitewater I strongly believe that all members of the paddling group should carry and throw line/bag AND know how to use it safely/effectively. I would also say that if you are carry a line you must also carry a knife that is capable of cutting it. 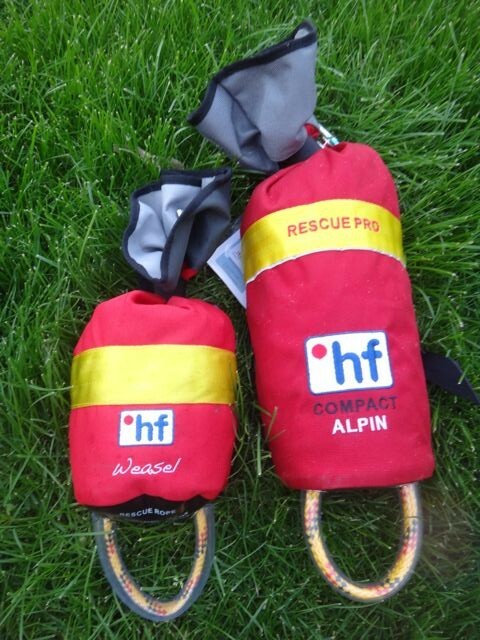 The HF Weasel is HF’s smallest and most compact throw bag. If space within your boat is at a premium then this bag may be the one for you. 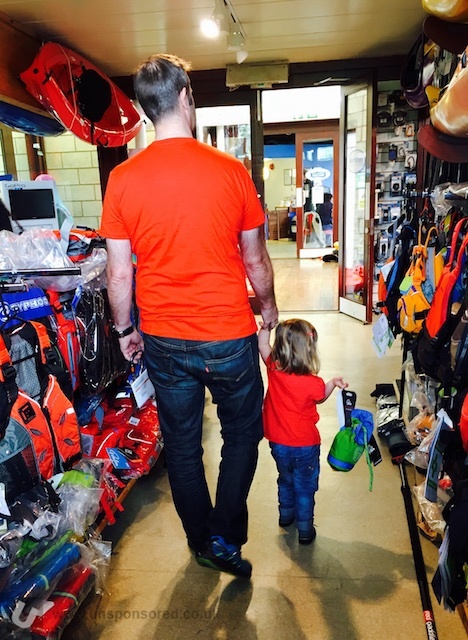 The Weasel fits even in the smallest kayak or can be fixed and carried on a waist belt (HF Swifty Belt). If a throw bag is needed in a emergency you probably won’t have any time for a second go! Therefore the most important factors when using a throwbag is how well it throws, and how easy it is to get the bag to land on target. In both cases the HF Weasel fits the bill. I found the bag easy to throw both under and over arm. 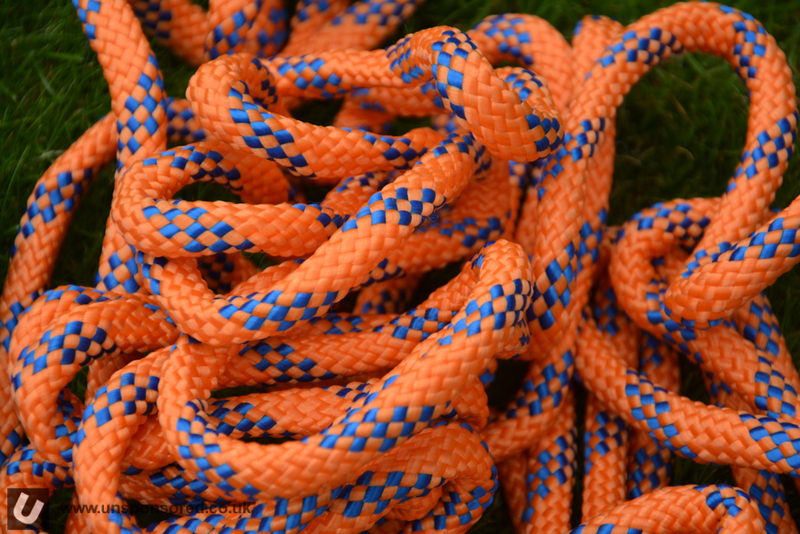 The rope pays out nicely during a throw and is also easy to repack if you do need (or have time) to have a second go. 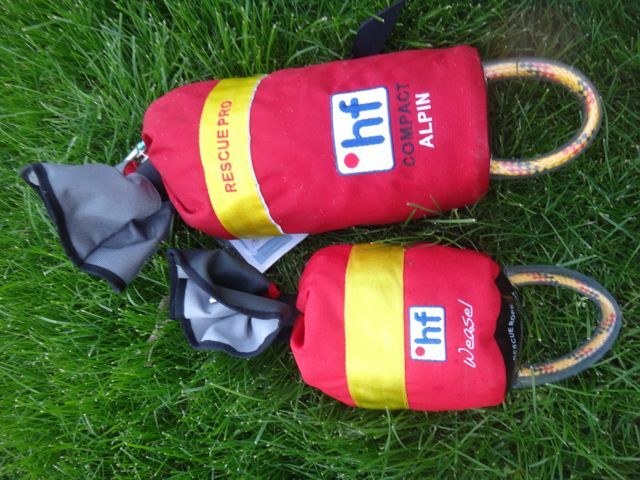 After a couple of hours of paddling today I spied my HF Weasel Throwbag in the back of the car and had an idea. 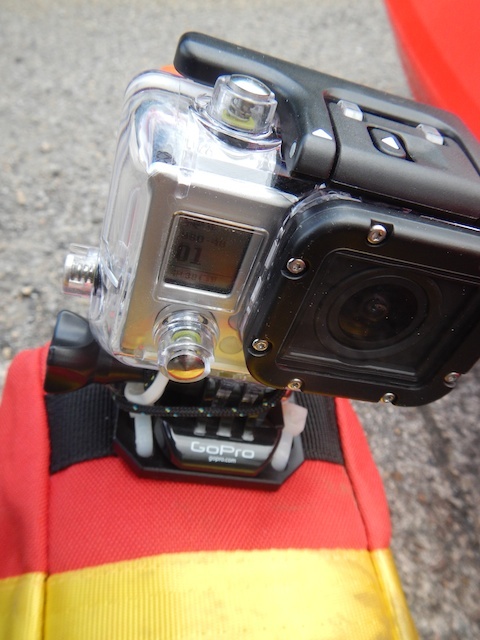 What if I attached my GoPro to the bag, what kind of footage could I get? 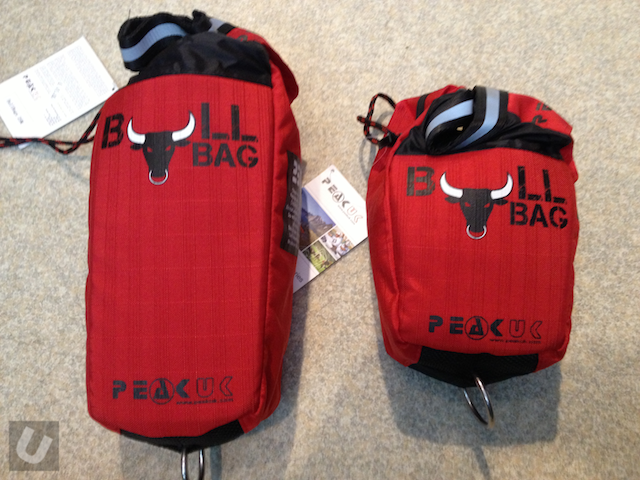 The PeakUK Bull bag is available in 25, 20 and 15 metre varieties. I had a chance to check out and throw the the 25 and 15 metre models. Jim Coffey posted a link to this video in a comment on my Pin Kit post. The video series is superb and is well worth watching. 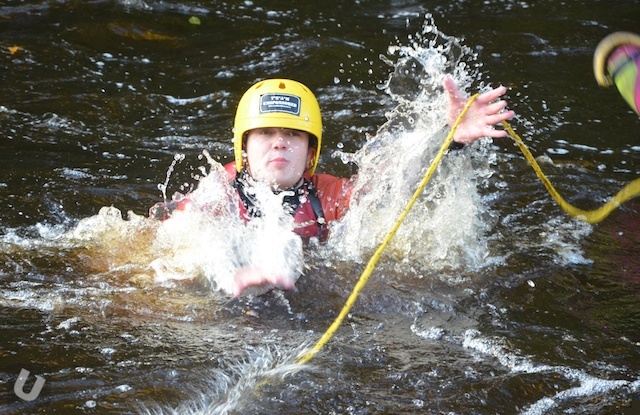 R3 Rescue for River Runners: Episode 1 – Getting Started from Five2Nine on Vimeo. Surely everyone should have a utility belt, Batman had one. 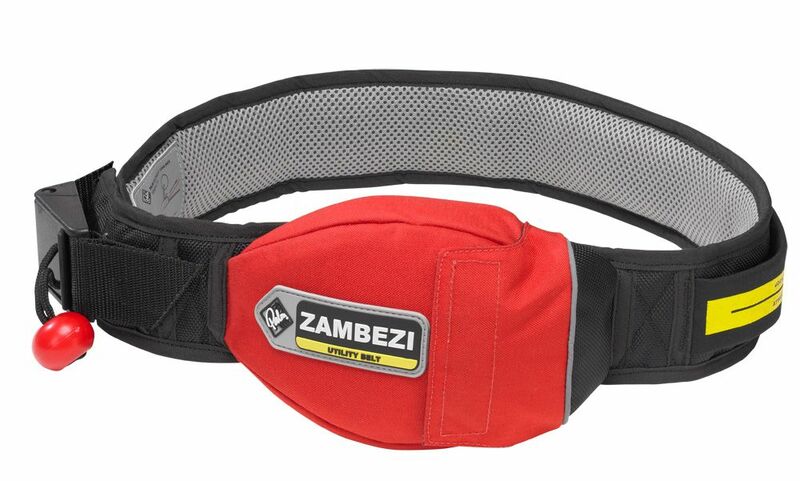 UK based Palm Equipment have come to rescue your wanna be super hero dreams by creating the Zambezi Utility Belt. A technical waist belt to mount any Palm throwline. With a throwline release and belt release buckles, a pocket for storage and a comfortable vent mesh belt that floats. I had a bit of time today so had a go at modifying my two throw lines. I much prefer the “clean” rope principle where the end of the throw line that you keep hold of is a clean piece of rope i.e. 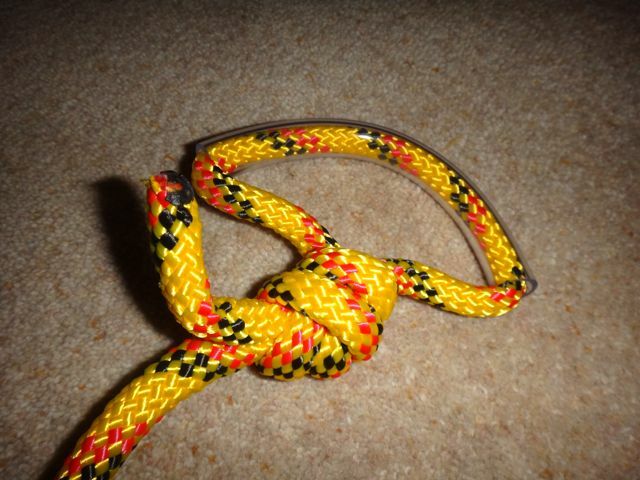 has no knots or tubing. The second modification I carried out was the removal of the tubing from the bag end of the line and the reduction in the size of the loop. 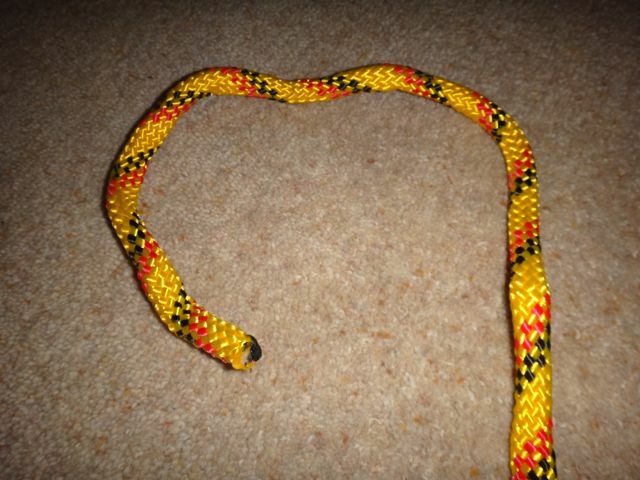 The idea is that the loop is big enough to clip a karabiner into but is far too small to get a hand stuck.